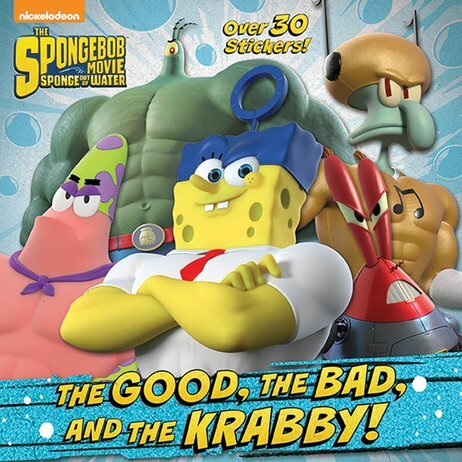 The SpongeBob Movie: The Good, the Bad, and the Krabby! Spongey’s film is here! Time for some story fun. He’ll squeeze every drop of laughter out of you. With over 30 stickers, here’s the picture book of the movie retold in easy words and huge colour pictures. How loud will you chuckle? For SpongeBob, nothing says ‘treat’ like a yummy Krabby Patty. So when a wicked pirate steals the secret recipe, Spongey travels to the human world to get it back. Yes, that’s right: he’s in our world. So look out for him – starting here.